When Hammer hits the stage you know you're in for a ride. He is a master of cutting wit and non-stop improvisation--every show an original. You'll witness the world-famous handcuff escape; gasp at the sight of swallowing double-edged razor blades; and marvel at the tricks performed by this master magician! Beware, every show is loaded with 100% audience participation. Nobody is safe. 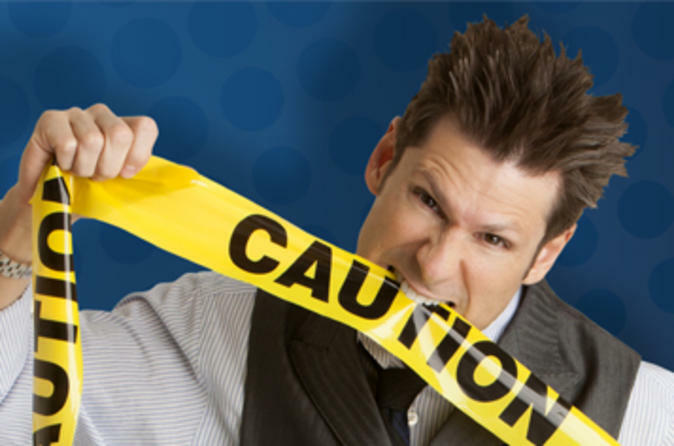 Part magician, part comedian, Mike Hammer takes audience interaction to the limit in this fast-paced 70-minute show. Blending cutting wit with legitimately stunning magic, anything can and frequently does happen. From swallowing razorblades to reading your mind, the show builds in complexity, culminating in the Pick Pocket Booth of Solitude, a masterful combination of all things Mike Hammer. This family-friendly show will have you on the edge of your seat with laughter. This award-winning sleight-of-hand master is sure to grab your attention. See why the Las Vegas Review Journal says "You may have seen other magicians, but Hammer gives it the extra dimension".